The Islander Math Circles is a free program offered by faculty at the Department of Mathematics & Statistics at Texas A&M University – Corpus Christi. Gatherings are designed to invite high school (or younger) students to solve advanced math problems with mathematicians. Official Islander Math Circles webpage. More Islander Math Circles information. Which method do you think is the most fair? Which is the best way to decide? Can you think of a way to make the system even better? 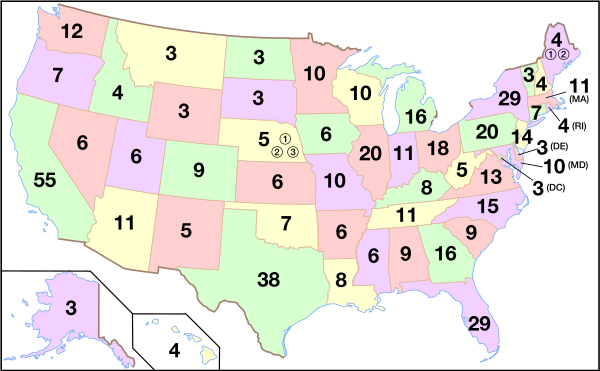 Are the number of electoral votes allotted to each state directly proportional to the population of the state? What is the smallest percent of popular vote you could win and still win the electoral vote? What is the relationship between boundary lattice points, interior lattice points and area? Can you create an equilateral triangle such that all the vertices lie on lattice points? 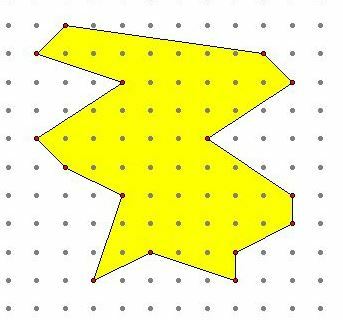 How can you use similarity to solve irregular polygon problems? 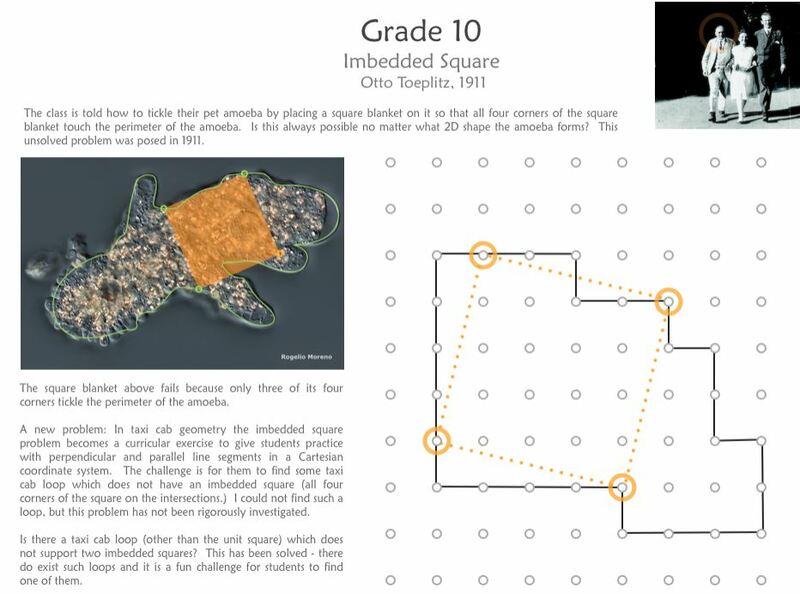 How can you use the Shoelace Method to solve irregular polygon problems? Does every taxi loop have an inscribed square? Does every loop have more than one inscribed square? Does every taxi cab loop have an inscribed square if diagonals are allowed? What is the link between this problem and the 1911 inscribed square problems of Toeplitz? 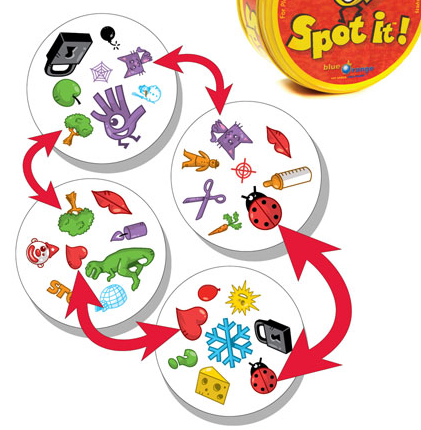 Agenda: The Mathematics of Spot it! How many different pictures are there? Can you create a deck with two pictures on each card? three? four? five? How many different pictures would there be? 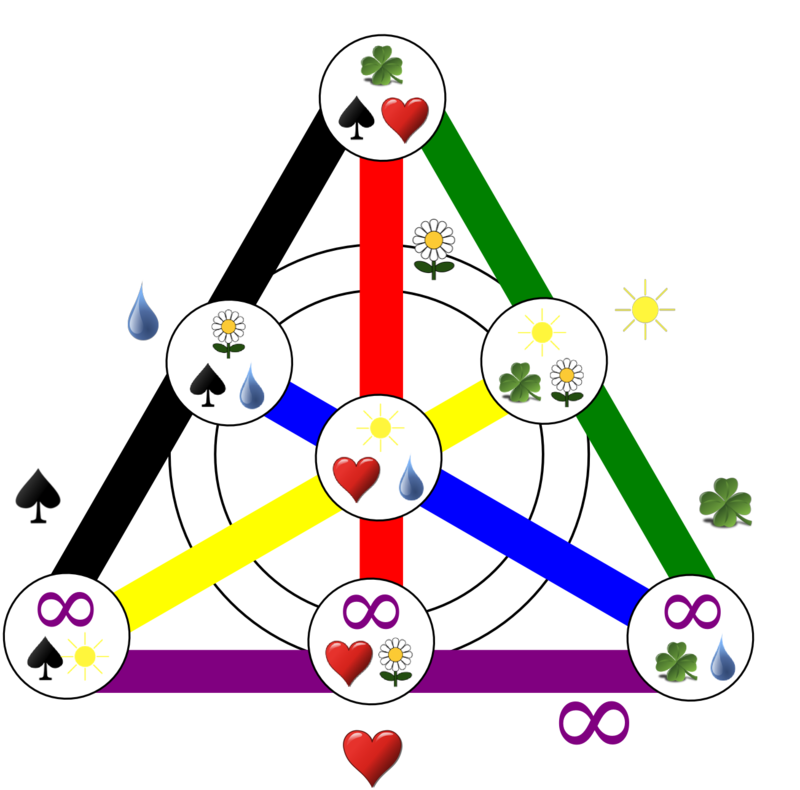 How many pairing on each card? Is there an algorithm that can determine the number of cards you would need for n pictures per card? 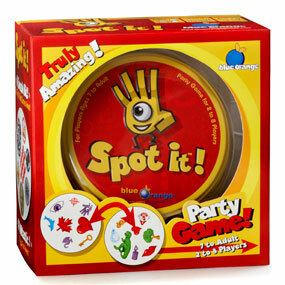 Spot-It: How’d they do that? 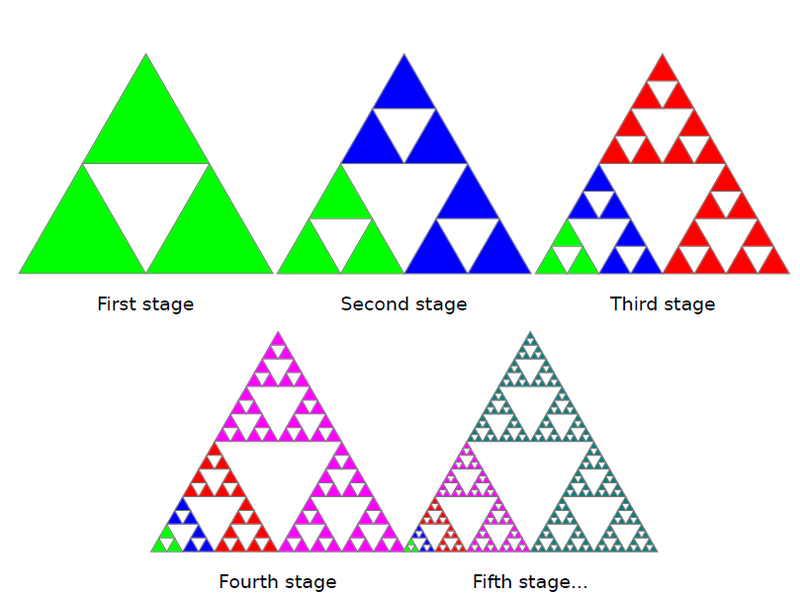 What patterns are there in the Sierpinski Triangle? What is the rule for the number of shaded triangles in n iterations? What is the rule for the number of unshaded triangles in n iterations? What fraction of the triangles are shaded in n iterations? 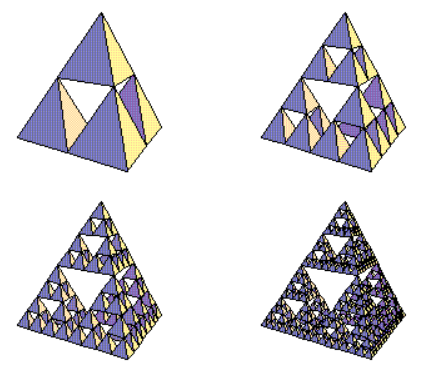 How do you describe the dimension of a Sierpinski Triangle? What patterns are there in the Sierpinski Carpet? What is the rule for the number of shaded squares in n iterations? What is the rule for the number of unshaded squares in n iterations? What fraction of the squares are shaded in n iterations? 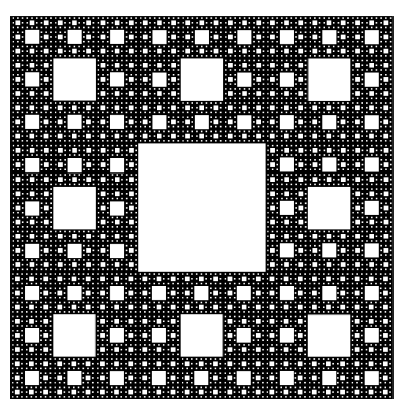 How do you describe the dimension of a Sierpinski Carpet? How do you describe the dimensions of a Koch Snowflake? 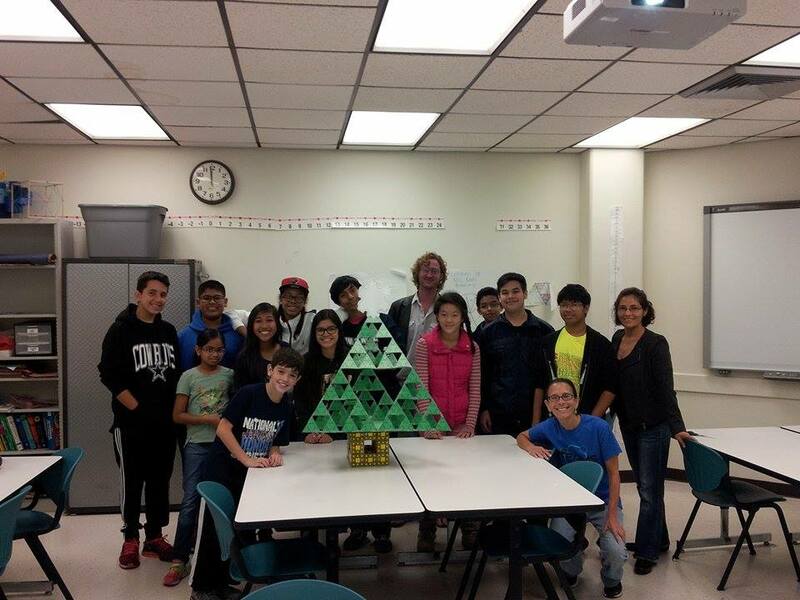 How do you describe the dimension of a Sierpinski Tetrahedron? How do you describe the dimensions of a Menger Sponge? 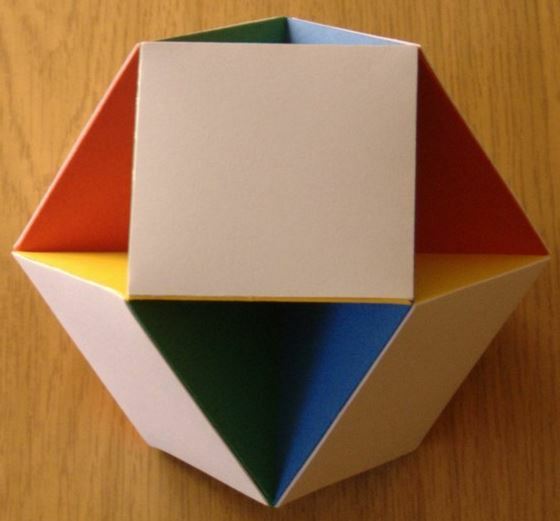 Why are there only five platonic solids? 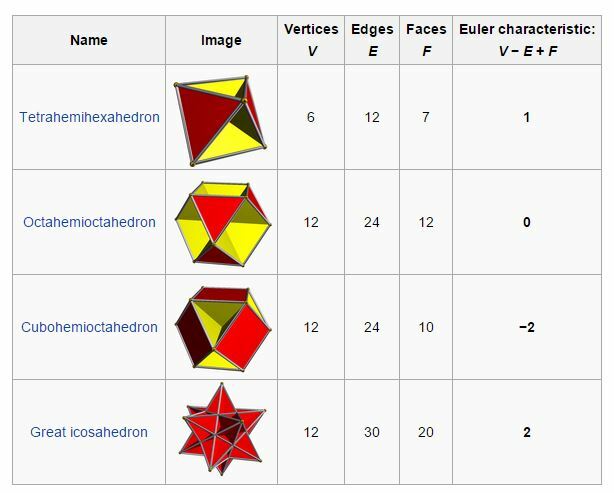 What is the relationship between the edges, faces, and vertices in the five platonic solids? What three dimensional shapes follow Euler’s formula? Are there shapes that do not follow Euler’s formula?